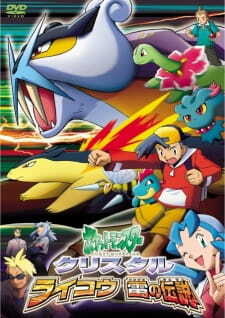 Ok this is probably a biased review but I quite like this Pokemon movie, just because the protagonist isn't Ash, which i find refreshing despite the fact Jimmy is still kind of annoying (but he's not as bad imo) and we also get some other characters like Marina and Jimmy in it too. The plot was okay for pokemon, just the average stuff. But my fave thing about this movie is the villians, Attila and Hun (with the help of Professor Sebastian). I like them the best because their personalities contrast yet they go so well together at the same time. The animation somehow looks worse than a usual episode but it's ok. overall i liked it.